Your company’s website is often the first place a prospective customer visits to learn about your company. And while many different things influence people’s buying decisions, there’s a single common factor that drives nearly every purchasing decision: can the customer trust your business? Over the last decade, crowdspring and our 210,000+ designers have helped entrepreneurs, small businesses, agencies and Brands around the world with website design. In that time, here’s what we’ve learned about website credibility: the credibility of your website will directly impact your revenues and profits. The goal of your business website is to showcase how trustworthy your business is and your professional expertise to assure customers and prospects that you’re the real deal. We’ve broken down the four major areas of website credibility and have identified 16 important factors that help your small business increase customers and profits. Let’s look at these factors in detail. It’s important to explicitly state who you are and what your business is about. 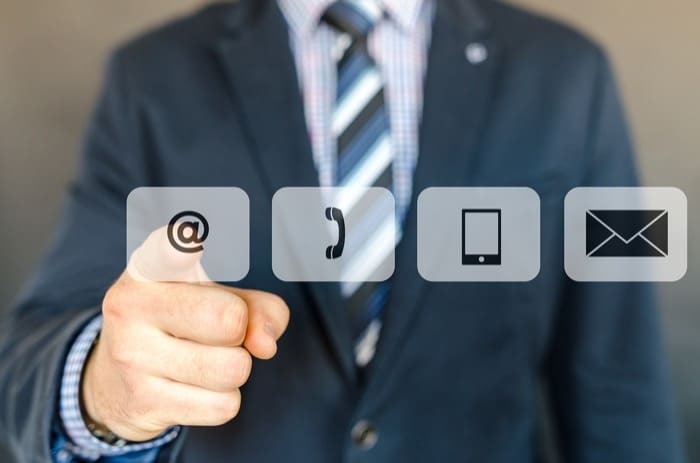 Contact information is important because, for many businesses (restaurants, companies that sell products, and others), customers and prospects are looking for a way to email or call your company. It should be easy for any visitor to your website to figure out this information. That’s where your ‘Contact’ page comes in to play. It links to well maintained social media accounts including Twitter, so visitors have a way of reaching out to you and fellow customers. And don’t forget to include a physical address. Knowing your company’s address is reassuring and builds immense trust. It’s a reliable way to remind visitors to your virtual address that your company has a physical address, too – which is essential in legitimizing your business. Make sure you do everything you can to set customers’ minds at ease about your business’ credibility – and accountability, too. Proving authenticity isn’t just for millennial hipsters. Authenticity is a significant factor in increasing your customers’ trust in you and your business. In a global study completed a few years ago, The Age of Authenticity revealed that 63 percent of consumers would choose to buy from a brand they perceived as authentic over less-authentic competitors. How can you show that your business is authentic, trustworthy, and likable? No one wants to do business with a faceless, cold, unfeeling corporation – people want to feel a personal connection with a company. 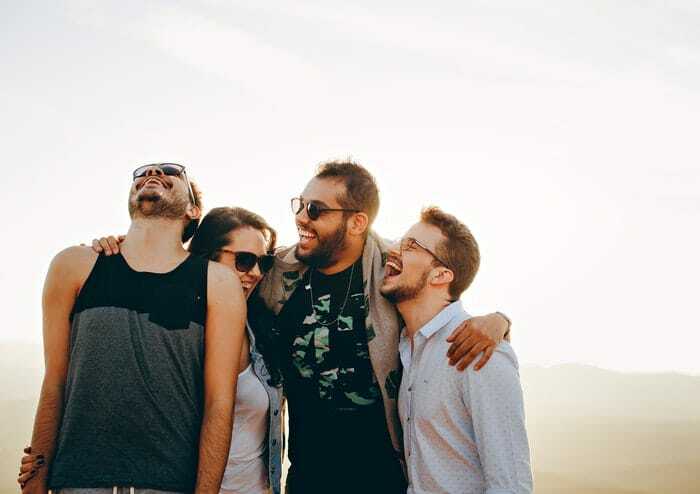 Emphasizing the humanity behind your company will help your company stand out from the crowd because it will genuinely connect your brand to the people you’re trying to reach. Offering team bios and accompanying photos is a terrific way to engender trust in your customers by showcasing your humanity. You can encourage your team to get playful, have some fun, and showcase the great personalities that your brand has to offer. Further, any time you can show your customers that you have real people behind your company is a way to make you more personable, more relatable, and ultimately more preferable to distant, unreachable brands. Keep this in mind when you’re active on social media. Nobody wants to engage with a faceless brand. For example, when you look at crowdspring’s Twitter profile, you’ll see us clearly state that our social media tweets are by our founder and CEO, Ross Kimbarovsky. Speaking of unreachable … don’t be. Make sure that your customers have easy access to your support team. Provide clear access to any Help Center links and accompanying forms, email addresses, or chat widgets that can connect your customers with the help they need. Having the reassurance that help is near will, in fact, go far in holding a virtual hand out to your customers. Everyone knows excellent customer support is the cornerstone of any great brand. You need to look no further than Zappos for proof on how effective a strategy having superior service is. Our biggest efforts revolve around building likeability around our brand so that consumers turn to a brand that they trust, find reliable, and have an emotional connection with. That’s where service comes in! Providing exceptional support – and then giving your customers access to it – is a proven way to build your business’ credibility, and therefore your profitability. Another opportunity to increase both your credibility and your conversions is to put a “trust badge” (or “trust seal”) on your checkout page. Comodo Group’s research proved that approximately 70% of online shoppers canceled their online order because they did not “trust” the transaction. It’s critical to reassure potential customers that your website is safe, secure, and able to protect their sensitive information. A trust badge is a great way to show your customers that your website is up to the challenge of safeguarding your customers’ backs (and wallets). If you’re interested in getting a trust badge for your website, you probably want to know which ones are the most reliable. In a survey conducted by the research group the Baymard Institute, the most trusted badge was Norton, with 36 percent of the votes. This was followed by McAfee (23 percent), TRUSTe (13.2 percent) and BBB Accredited (13.2 percent). 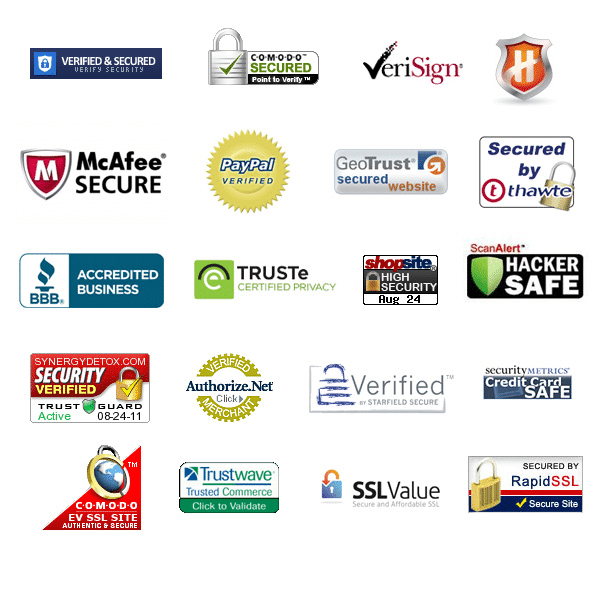 Using trust seals like Norton Secured, PayPal Verified, Web of Trust, and BBB Accredited Business will increase customers’ trust in your website. Getting a trust badge is important, but your work isn’t done yet. You’ll want to be sure to make your pricing is obvious and easy to find. Website visitors are often very protective of their information and want to know how you plan to use it. Having as much transparency as possible about your company’s rules and fine print will ease consumer doubts about how reliable your business is. Take it a step further with a guarantee. If you offer one, show it off! At crowdspring, we tell customers that we offer a 100 percent money back guarantee. We are confident that we will deliver phenomenal results for our customers and have consistently done so for the past decade. And in the rare case when a customer isn’t thrilled, they know that they will be protected by our powerful guarantee. If you know you’ve got a solid product or service on your hands, own that. Let your customers know that they can rest easy knowing that you’re confident enough in your excellence that you’ll give them every penny back to them if you can’t meet or exceed their expectations. Is the internet abuzz with your greatness? 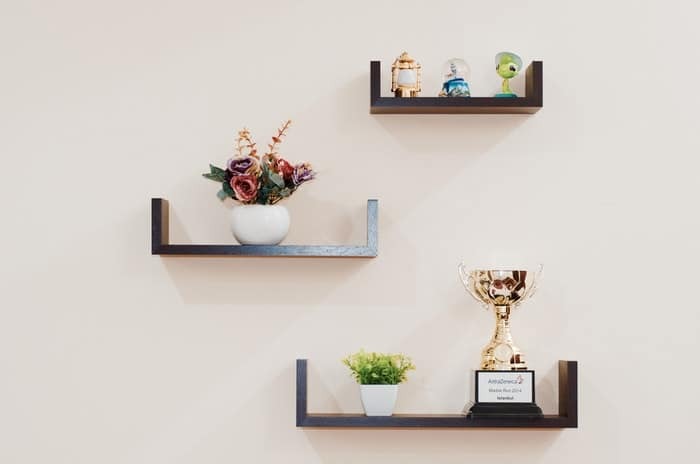 Make sure you display any positive press or significant (and laudable) awards your business may have been given where your customers can see them. Knowing that the public opinion is in your favor is a good way of enhancing your brand’s reputation and standing in your customers’ eyes, and you should not be shy or humble in showing those off. Let your customers in on your glories and accolades. We promise it’s okay to brag. A study from BrightLocal shows that an overwhelming 88 percent of consumers trust online reviews as much as a personal recommendation. In fact, 72 percent of consumers find positive reviews encourage an increased trust in a business. A testimonial is at its most effective when it features a customer detailing the problem they faced before coming to you for answers. You get to be the hero of the story when they further explain exactly how you helped them overcome their challenge. To give your testimonials a head start in gaining your customer’s trust, there are a few best practices you can follow. Put a face (or a logo) to the name. It’s perfectly fine to offer testimonials directly on your own website. For example, crowdspring has a customer testimonials page highlighting some of the customers who love our service. But we also direct people to independent, third-party pages, like the crowdspring reviews page on ResellerRatings. You can also consider listing your website on an independent, third-party page to add some external credibility to your testimonials. If you belong to a professional organization or are otherwise associated with a recognizable, stand-out brand in your industry, you should include that on your website. Take advantage of your positive affiliations with these reputable brands by highlighting your relationships on your website. Display their logos and link to their websites. You’ll increase your standing in your market while building credibility and trust with your base. Stanford’s Persuasion Technology Lab discovered 46 percent of people indicate a website’s design as the number one factor in determining website credibility. It might seem obvious, but it’s important not to underestimate how important good visual design is. For the most part, however, if you want to look credible, a good user experience is vital. Many elements contribute to a well-designed user experience, and here some of the most important ones to consider. Websites with stale content can look out of date at best and abandoned at worst, so make sure you refresh things periodically. People see sites that regularly update as more credible. This doesn’t mean you have to do massive updates or change your site’s content super frequently. You can make simple updates like adding links to recent news or reviews, rotating the testimonials you have on your homepage, or posting a new article to your blog. The reality is most visitors won’t return to your site that often, so these changes don’t have to be every day. Tend to your site’s content like you would a garden: prune old information, augment what’s already there, or add entirely new content. Web content that’s easy to read increases credibility. 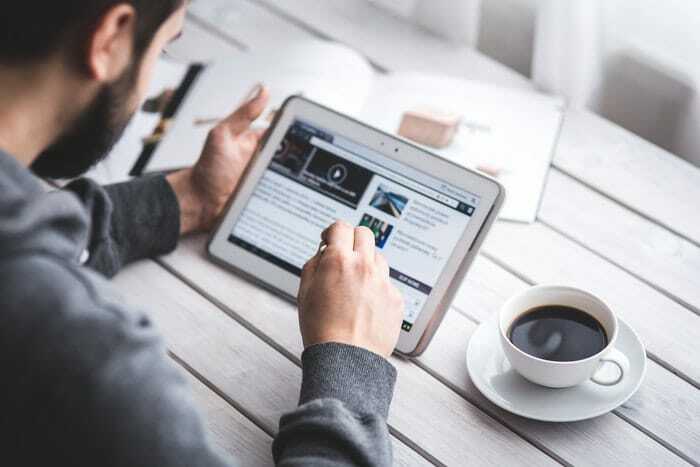 It’s a simple concept: if your site visitors have to struggle to read your content, it’s going to adversely affect their impression of not only the words they see but the site itself as well. If you’re not sure where to start to improve your site’s typography, our guide can get you on the good font. Few things deflate a site visitor’s confidence faster than bad grammar or spelling mistakes. Not only do mistakes make you seem unprofessional; they can also make you appear sloppy and uncaring, as well. It’s not enough to run your site’s content through a spell checker. There are plenty of excellent content marketing tools to can help. Those services are not infallible. Just like the spellchecker in your word processor, they use algorithms and other automated methods to check your text, but they usually can’t understand the meaning of what you were trying to say. Your best bet is to manually review your site’s content for errors. Even better, have someone else look at it, too. The most sublime site design in the world can quickly be ruined by a wayward spelling mistake or grammatical error. Don’t let that be your site: copyedit today! Everyone has used sites that were poorly designed and confusingly organized. People bring a finite amount of patience with them when they load a new website, and that patience can quickly vanish if things are hard to find, and the site frustrating to use. Studies show you have only seconds to capture a site visitor’s attention. Don’t lose prospects because your site is overly frustrating. Fixing a site’s navigation can occasionally be a big undertaking. Unless your services, products, or content are so compelling that people will ignore bad navigation, however, getting it right is a big contributor to a website’s credibility. You should also consider whether your site needs a search feature. The answer to this depends on the depth and breadth of your site’s content or products. Sites made up of a handful of pages don’t need search. The best way to know if you need it or not is to ask your customers. Can they quickly find what they were looking for? Is the site’s navigation sufficient to help them get to where they want to be? If the answer is no, adding search is one possible way to fix this. Sites that take forever to load or are slow to use are huge barriers to credibility. When your product or services involve e-commerce, it’s difficult for customers to put their trust in a site that makes them wait uncomfortably long. We talked about this in more detail in 7 Signs It’s Time To Update Your Small Business Website. Fixing site performance isn’t trivial, as there can be many different variables involved in what makes a site slow. If you’re interested in running a test on your site, Google has an excellent one you can try. There are many reasons why you should limit the amount of advertising on your site, especially if the advertising is served by an ad network and not internal promotions or house ads. They may dilute your brand or associate your brand with images or products you might not want to be associated with. Keep your site’s primary goal in mind. Not all advertising is terrible, but advertising can become a roadblock if you’re trying to get people to buy something, sign up for a service, read an article, or get in contact with you. We’ve talked about the importance of good branding many times, and for good reason: a strong brand has a powerful effect on how customers perceive your company, and that includes its credibility. Your website design affects your brand, and your brand affects your website. You might be wondering: What does it mean to brand your company? How do you brand your business? How can branding lead to bigger revenues and profits? The name of your company and your logo are two important elements of your brand, but your brand is much more than the company name and logo design. The biggest companies recognize this and put as much consideration into the design of their site as they do when they come up with their business name and logo design. They know that strong branding adds credibility to their website, and so they treat their sites as an extension of their brand. The design of your site should use elements of your brand efficiently, so the two things reinforce and augment each other. Customers who already know your brand will feel right at home with a well-crafted site that integrates brand elements. 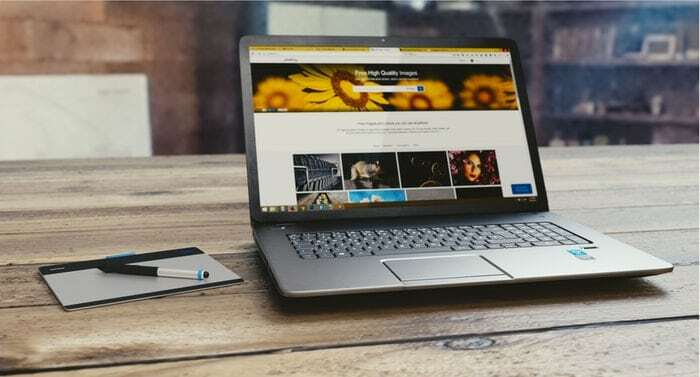 If you are ready to create or update your website to inspire trust and confidence in your small business, consider enlisting the help of crowdspring’s network of 210,000 creatives. On crowdspring, you’ll pick your favorite design among many great options. 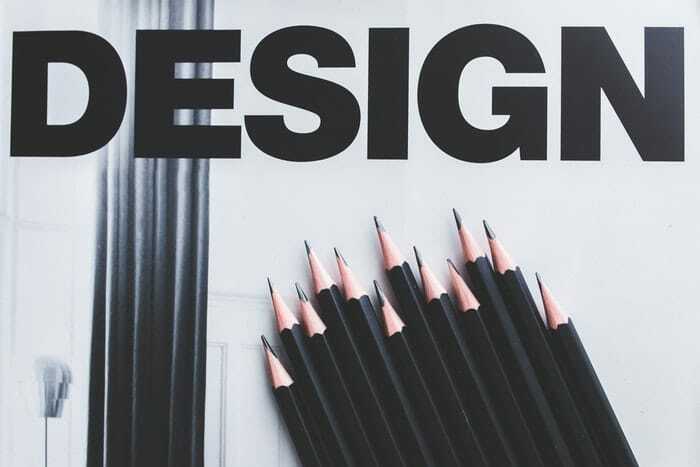 You can get started on a website design, logo design or request a free, no obligation design consultation for marketing materials, product design or any other type of design with one of our design experts today.